CMS is a Venue Finding Company for the MICE market. For our Clients we search locations, venues and negotiate preferred Hotels’ rates and contracts for all their residentials events. 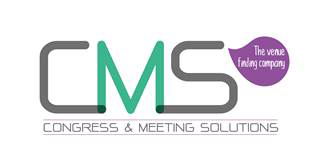 CMS assists you for Events (A minimum of 15 rooms is required) located in France or Worldwide. The venue finding service is free. We manage the planning and execution of your program on a global scale, taking care of programme strategy, worldwide branding consistency, logistics planning, asset management, creative strategy and design, graphics, fabrication, multi-media production, audio visual and so much more – all done with in-house resources. With more than 90 company-owned locations around the globe, we know how to deliver a seamless exhibition programme no matter where in the world you are showcasing your products or services. With our global network and a 90-year track-record of delivering seamless, integrated brand experiences, our global reach and expertise are unmatched in the events and exhibitions industry. Our dedicated account teams provide a single point of contact for all of your exhibition program needs, no matter where in the world you want to go.